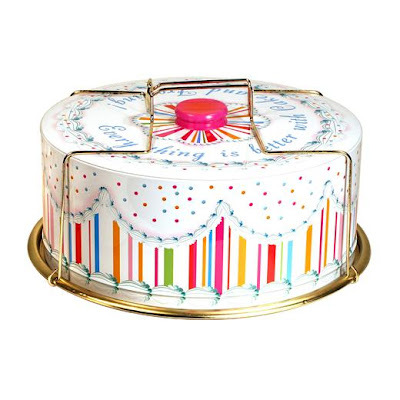 A darling vintage style cake tin with locking handle for easy carrying. 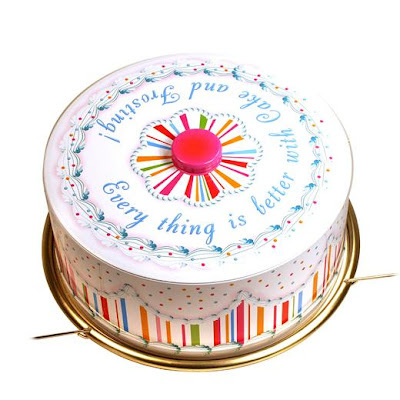 Everything really is better with cake and frosting! 12" in diameter by 4.75" high.